FINANCE professionals here are among the world leaders in working overtime, with almost everyone pulling extra hours at some point, according to specialist recruiter Robert Half. Its survey of 150 finance chiefs in Singapore across a range of industries found that 98 per cent of finance and accounting employees have worked longer hours than they were contracted to. That 2 per cent who have never worked overtime is the second lowest percentage out of the 15 countries surveyed. Only Switzerland topped Singapore, with 100 per cent of the Swiss finance and accounting professionals surveyed having worked overtime before. But when it comes to the percentage of professionals who put in extra hours every day, Singapore's percentage is the same as the global average - 17 per cent. Hong Kong was far worse with 42 per cent of staff leaving the office later than they should every day, which was the highest rate of daily overtime across the 15 countries. Ms Stella Tang, director of Robert Half Singapore, said working late was "often not a choice". "The finance team has to meet deadlines set by regulations and corporate governance requirements. Additionally, they often need other business units to supply information to complete their task. "If other units do not supply information in a timely manner, the finance team has little choice but to work late and get the job done." The most commonly reported overtime frequency in Singapore was two or three times a week, Robert Half found, a situation 46 per cent of finance and accounting professionals encountered. Bosses here were split on whether working longer hours was good or bad for staff morale. While 45 per cent of chief financial officers and finance directors thought working longer hours hurt morale, 39 per cent thought the impact was positive. 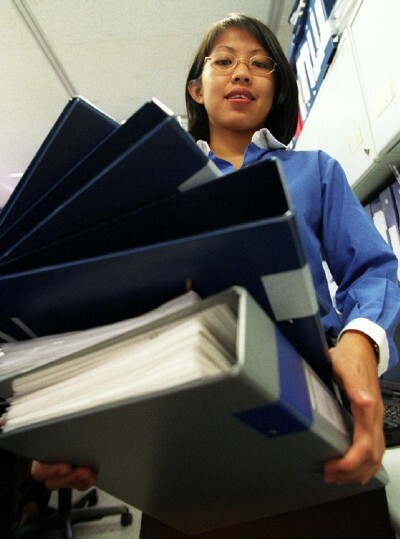 Said Ms Tang: "Some employees welcome the chance to earn overtime by working extended hours." The survey, conducted in June and July, covered more than 2,000 chief financial officers and finance directors worldwide.